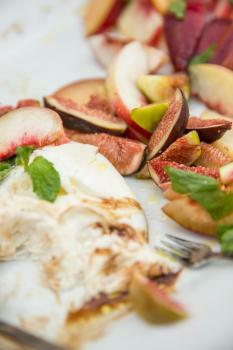 You don&apos;t have to be a wine expert to enjoy a long weekend in SLO CAL wine country. In fact, you&apos;ll find the 250+ tasting rooms to be friendly and full of SLO CAL hospitality. Get ready for three days of new varietals, new friends and a new-found passion for Paso Robles and San Luis Obispo wine country. Ready to discover your new favorite wine regions? 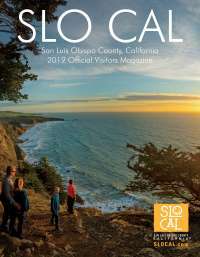 Get ready to meet SLO CAL wine country. Lunch at Cello Restaurant, part of the Allegretto Vineyard Resort on Paso Robles’ East Side. This luxury property features seasonal and foraged ingredients on its menu, along with a line of proprietary wines to accompany the cuisine and get your palate ready for the weekend ahead. Visit J. Lohr Vineyards & Wines to witness 40 years of pioneering winemaking on the Central Coast, with a special focus on Cabernet Sauvignon and Bordeaux varieties. From there, drive east on Hwy 46 to Geneseo Road to Cass Winery, where you’ll enjoy estate-grown Rhone-variety wines in a Spanish-style hacienda tasting room. Head back towards town to visit Pear Valley Vineyards, home to 26 sustainably farmed varieties of wine grapes. Pear Valley allows visitors the opportunity to taste wines uncommon to the area, like Charbono and Aglianico. And Robert Hall Winery produces Bordeaux, Rhone, and Chardonnay wines―as well as Paso Robles’ heritage variety, Zinfandel―and offers tours of its spacious, elegant facility, complimentary with each paid tasting. Finish the evening off with the wine-centric authentic Italian cuisine of Il Cortile Ristorante in downtown Paso Robles. Later, visit Opolo Vineyards to take an in-depth tour of the estate. Then head back to the tasting room for a wine flight paired with cheese and charcuterie. In between wine tastings, pop into Pasolivo to learn about Paso&apos;s other harvest, olives. Take a tour of the olive mill and educate your palate by tasting through their variety olive oils and goods. At Halter Ranch Vineyard, choose your wine tasting adventure whether it be in the winery and cave, in the tasting room or on an outdoor excursion tour through the vineyard. 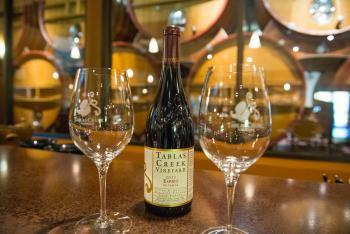 Just up the road, Tablas Creek Vineyard, a pioneer of the California Rhône movement, offers wines in the style of Chateauneuf-du-Pape―certified both organic and biodynamic―for tasting. And, finally, linger over dinner and wines at The Restaurant at Justin Vineyards & Winery, where Bordeaux-variety wines pair with California cuisine for a seamless, wine country experience. Motor south to Edna Valley, where SLO Provisions offers fast-casual breakfast fare and coffee, along with takeaway box lunches for picnicking in wine country. At Chamisal Vineyards, artisanal Pinot Noir and Chardonnay take center stage; while nearby Claiborne & Churchill spotlights Alsatian-style white wines like Riesling and Gewurztraminer in their strawbale tasting room. Tolosa Vineyards offers Burgundian varieties and a newly-refurbished outdoor seating area, and Wolff Vineyards pours a variety of wines including little-known Teroldego from its tasting room with panoramic views of the Edna Valley. Closer to San Luis Obispo, Stephen Ross Wine Cellars samples several single-vineyard Pinot Noirs from its urban tasting room. Go to school, literally! Silver Horse Winery is located in a refurbished schoolhouse and will teach you everything you want to know about their Albarino and Cabernet Sauvignon. Feel the coastal breeze on your face when you stop by Croma Vera Wines in Avila Beach to taste through their Spanish varietals. Finish your whirlwind wine weekend at Talley Vineyards, a pioneer of California Chardonnay, or Laetitia Vineyard & Winery, producers of coastal sparkling wine and Pinot Noir, both of which are located in the cool-climate Arroyo Grande Valley. Tip: Be sure to ask the tasting staff where they would recommend you taste or eat as well. 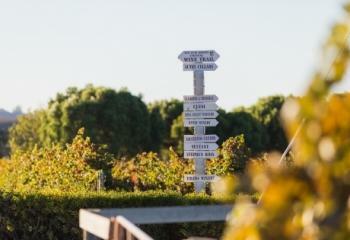 With over 250 wineries there&apos;s plenty to explore in SLO CAL!